Done for the May Art Exchange for the Gryphon Guild. 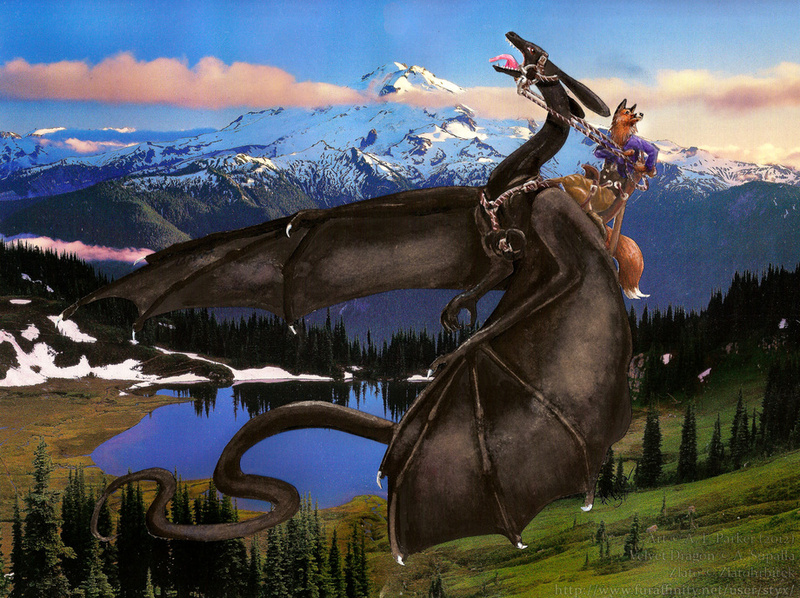 This is Zlato the red fox riding VelvetDragon (Tserisa) the Velvet Wyrm, off to an adventure. The background is a page torn from a calendar.